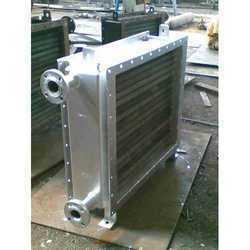 Air Cooled Heat Exchangers are the heat exchangers which use air as a cooling medium. 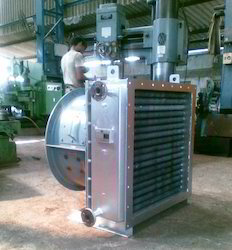 Typically, an air-cooled heat exchanger for process use consists of a finned-tube bundle with rectangular box headers on both ends of the tubes. Cooling air is provided by one or more fans. The fans can be either forced or induced draft, depending on whether the air is pushed or pulled through the tube bundle. With the aid of our diligent professionals, we have been able to bring forth an assortment of Air Cooled Inter Coolers and After Coolers. Our products are fabricated using high grade raw material and advanced technologies. The offered products conforms their adherence with the industry standards and norms. Moreover, our products are widely used by the industries for varied purposes. 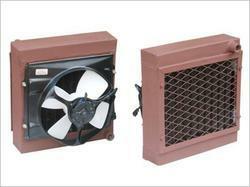 With our expertise in this domain, we are able to offer a superior quality range of Air Blast Oil Coolers. The offered products are manufactured by the experts using high grade material as and cutting-edge technology as per the set industrial standards. All our products are finished with utmost precision employing latest machines. 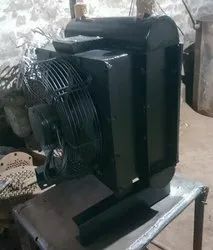 These oil coolers are widely used to move the low temperature atmospheric ambient air over the finned tube coil surface to cool the hotter fluid. 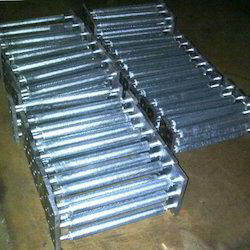 We have established ourselves as a renowned manufacturer and supplier of Air Cooled Heat Exchangers. These are manufactured using latest technological advancements in accordance with the industry quality standards. Clients can avail these products in varied grades and types from us. 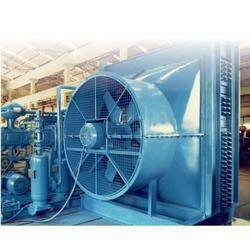 Our products are widely used for cooling heavy duty industrial motors that are used in.